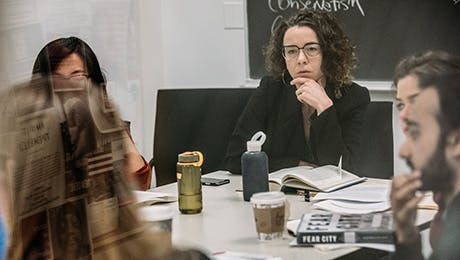 With a strong interdisciplinary foundation, students from the Historical Studies department use empirical, historical, and ethnographic expertise to rethink the present. Our students are accepted into the most prestigious universities, sought-after companies, and respected institutions in their fields. Our master’s students have continued their graduate studies in master's and doctoral programs at top universities, including Brown University, Massachusetts Institute of Technology, New York University, University of California, Berkeley, Duke University, and The New School for Social Research. Tax/municipal examiner, Red Vision Systems, Inc.